In just a few days, WordPress 4.9.8 is scheduled to be released. It will include the option to ‘Give Gutenberg a Try’, which will automatically install the Gutenberg plugin. If you are not already familiar with Gutenberg, the change to your site’s editor may seem quite drastic. However, the goal is to make WordPress websites easier to customise. Gutenberg is a WordPress project that aims to give users more flexibility in the design of their content. Essentially, the project aims to replace the current editor, which performs mostly as a word processor, with a more visual and structured interface. Currently, Gutenberg is a plugin, and it grants users the ability to modify their content similarly to how WP Visual Composer or other drag-and-drop editors do—albeit in a simplified and highly intuitive way. Gutenberg refers to big changes to the WordPress editor. 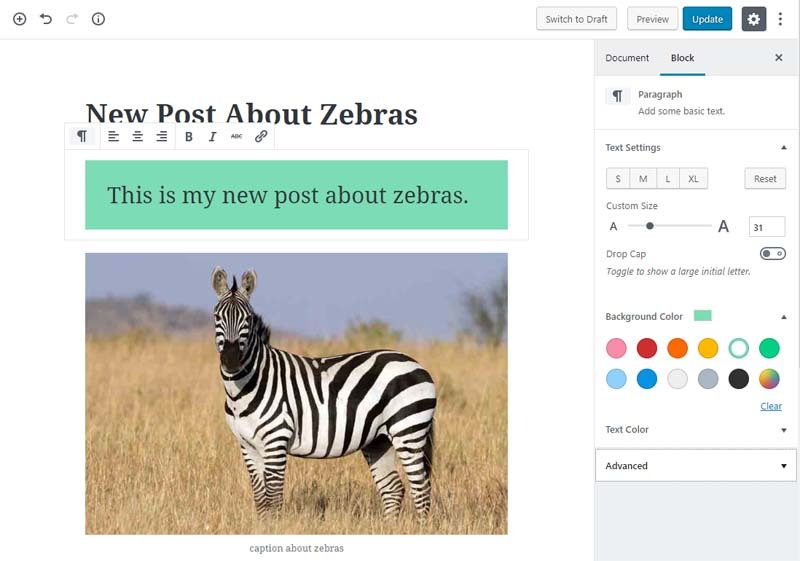 These changes currently exist as a plugin, however based on The Gutenberg Roadmap, someday very soon, this new, dynamic editor will be a part of WordPress Core. Your Theme: Gutenberg comes with its own set of styles for content. Is your theme compatible? What will it look like with Gutenberg active? If you are not already familiar with Gutenberg, the change to your site’s editor may seem quite drastic. However, the goal is to make WordPress websites easier to customize. Gutenberg arranges posts and pages into ‘blocks’ of content, images, text, videos, etc. that can then be moved around the page. Their style and functionality can be edited and the user can see how the changes will look right away. You can combine blocks and even save them as a template to use again later. If you have been using WordPress for awhile, these changes may seem challenging at first. However, the overall experience of using WordPress will be vastly improved and once you have made the switch plus, you’ll have access to a whole bunch of cool new features that you can use to make your site more engaging. The Monkey Treehouse think you’ll be glad you made the switch! As you can see in the pic above, once you switch to blocks, it immediately becomes a lot easier to change fonts, text sizes and colors. Each block and content type has its own set of features and controls. Don’t worry, your meta boxes are still there, just click ‘Document’ to see them. An even easier (and indeed safer) way to give Gutenberg a try is to visit TestGutenberg.com where the plugin has been setup as a front-end demo that you can play around with to start getting a feel of how it works. Help I need to Deactivate Gutenberg ! If your WordPress Wensite is simply not quite ready for Gutenberg, there are several plugins that will deactivate Gutenberg features until you are ready to turn them on. Allows you to enable / disable Gutenberg on a per post basis. Also allows you to disable Gutenberg for an individual page or post as needed. Disables Gutenberg so you can edit your posts and pages as you have been. Includes option to turn off ‘Gutenberg Nag’ button scheduled for release in v 4.9.8.